Swapps! All Apps, Everywhere – Soft for Android 2018 – Free download. Swapps! 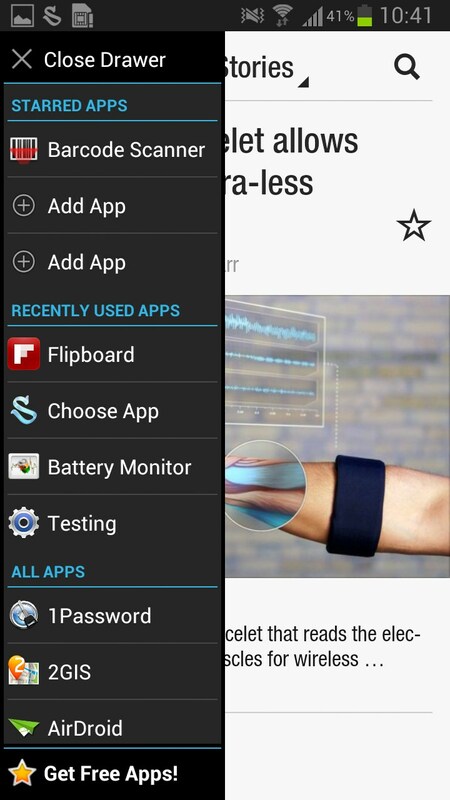 All Apps, Everywhere – Functional sidebar. 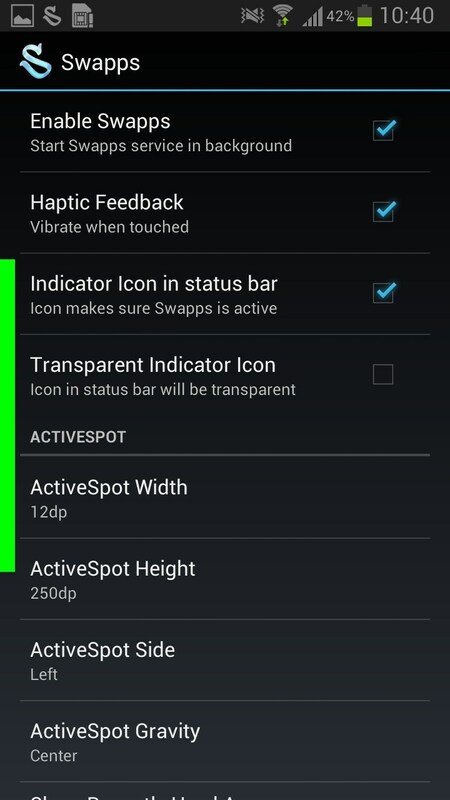 Swapps - is a simple program for Android, which adds to the operating system a convenient sidebar called using Swype-gesture on the selected edge of the display. 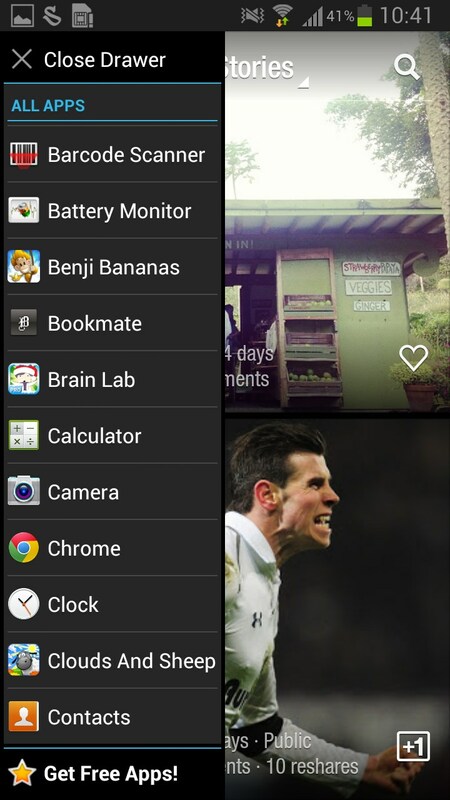 This is a sidebar helps in the comfort of a single application, switch to another, and also serves as manager of multitasking. 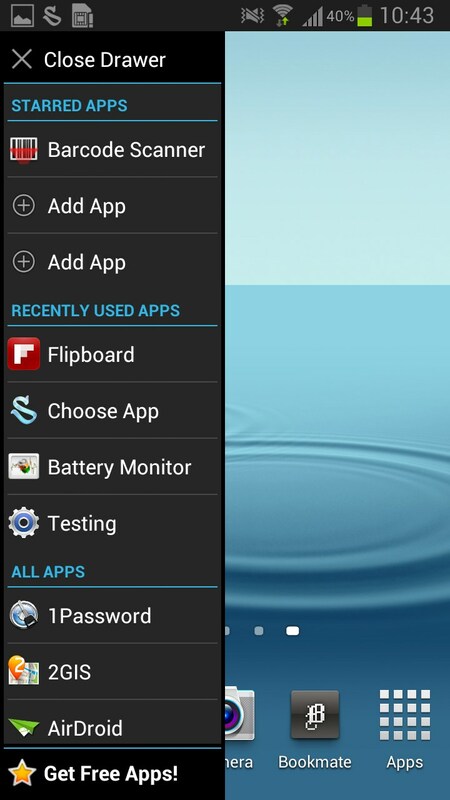 Application design in the style of Ice Cream Sandwich, and a side menu in design not distracting from the overall look of the operating system. Unlike its competitors - Sidebar and Unity Launcher, in Swapps panel has a wide margin, which allows compact to fit in a single line application icon and its name in the form of text. In terms of functionality the program is divided into three zones. The first zone is responsible for your favorite applications, which are fixed at the beginning of the list. They can add up to 15, but this number, you must first set the settings. The next zone is responsible for running the latest applications, to speak more simply, it is a kind of multi-tasking bar. Here is all of the applications you have used recently. This list is updated and cleaned itself. The third zone - a full list of applications, arranged in alphabetical order. So, if you want to switch to the application you want without spending extra time and then use this list - this is the best and fastest option. 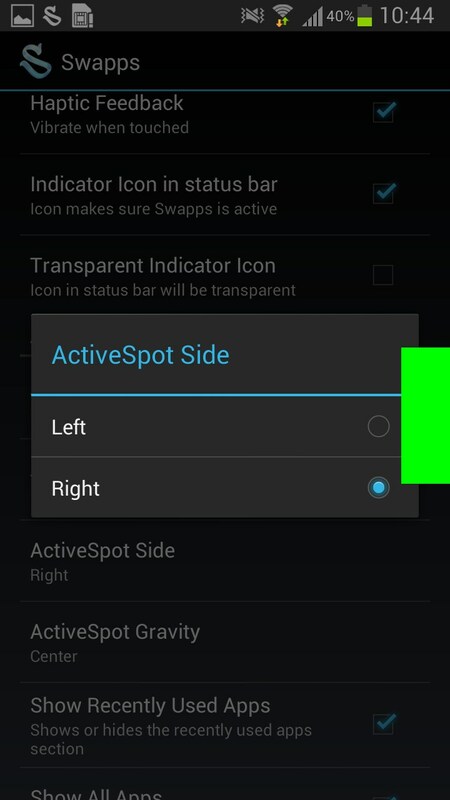 In the settings you can specify the location details for the gesture, indicate the sensitivity and size of the area in which you want to make a gesture to call the sidebar. Unfortunately, the program does not allow for multiple sidebars to call them from different areas, for many it would be very convenient. Apparent deficiencies in the program is not here, as they say, a matter of taste. Some people prefer the sleek and minimalistic design for the Ubuntu Unity Launcher , and you want to get more functionality using the Sidebar . Choose what you like, especially as all the programs are distributed for free (at least in the basic version). Summary. 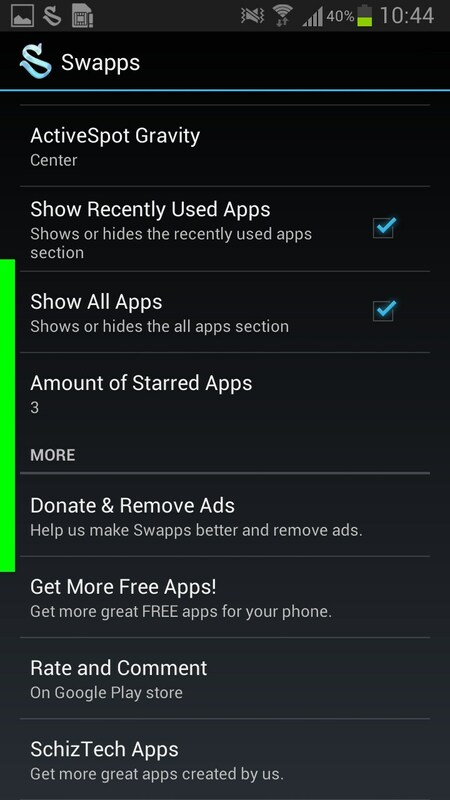 Swapps - this is a great program that can significantly enhance the usability of the operating system Android. Program pleases few settings, familiar design and usability.